The Göllner group is at home Europe-wide. Your strong partner for over 130 years! Individual. Solution optimized. Customer friendly and future oriented. We have a a reputation to lose: The Göllner transport company from Nienburg. Since 1878! Resource saving usage of our fleet. We are certified! From Nienburg out in the whole world. We have been moving your for 138 years. 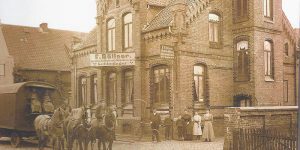 Since 1878 the name Göllner has been helping you move. Our profession is national and international individually packaged goods, hazardous goods and all other types of goods that require transportation. A key aspect that our company are involved in, are removals. With Göllner you will enjoy moving, whether it be privately or company based with the inclusion of all types of maschinery, we are your certified specialist for all of the given fields. 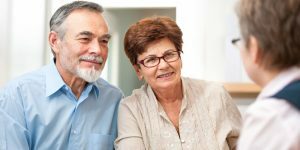 A special service that we also provide are removals for senior citizens including the carrying out of all required formalities. With a warehousing capacity of 15000 square meters alone at our Nienburg branch, we have the ability not only to store your goods but also to prepare, send and deliver with the inclusion of labeling when required. The Göllner transport company has been a business partner of the Linde AG for decades, who are the market leader in technical gases in Germany. In Nienburg the technical gases are available and ready to be picked up at your disposal. When required, you also have the option of using our transport and delivery services. The effective useage of natural ressources is an issue that is close to our hearts. We, as one of the leading transport and logistics companies in northern Germany region are certified under ISO 14001:2004. The general requirements conclude, that we have the required and corresponding environmental management system in place. Göllner goes green! With one click you are able to find out more about our company, services and locations. The needs of our Customers take centre stage in our business. Read more about our philosophy. You can view a list of our certifications certifications with one click. Would you like to find something out about our History. Click here.